CAsbestos can not only get on your clothes, it can also get on your skin and in your hair. If the clothes you’re wearing consist of Personal Protective Equipment (PPE), and you’re heading to a decontamination unit for a shower, this is not much of a problem. If, however, you’re wearing your scruffy clothes, because you’re doing some DIY, and then you’re heading home to clean up, this is can be a real problem. Asbestos contaminated clothes, being worn and laundered around the home, is a primary source of the secondary asbestos exposure problem. Much like second-hand smoke is the damage a smoker does to other people, secondary asbestos exposure is the damage someone who has worked with asbestos does to other people. This problem was first identified in the late 1800s when it was noted that the family members of asbestos workers suffered from increased levels of ill health. Since the 1970s, increasingly strict asbestos legislation and regulation have drastically reduced the amount of secondary asbestos exposure. Certainly for the families of the workers who are knowingly coming into contact with asbestos. Over the years, this secondary asbestos exposure has lead to the deaths of far too many people who were just around asbestos workers. All too often, these casualties have been the wives and children of said asbestos workers. Simply for cleaning and washing their asbestos contaminated work clothes. Thankfully, the number of victims of secondary asbestos exposure is on the decline. However, as ever, the problem with asbestos related diseases is their delay in onset. Exposures from decades ago can result in diseases like lung cancer and Mesothelioma, today. The problem, nowadays, isn’t with the workers who are knowingly coming into contact with asbestos. It’s with those who aren’t. 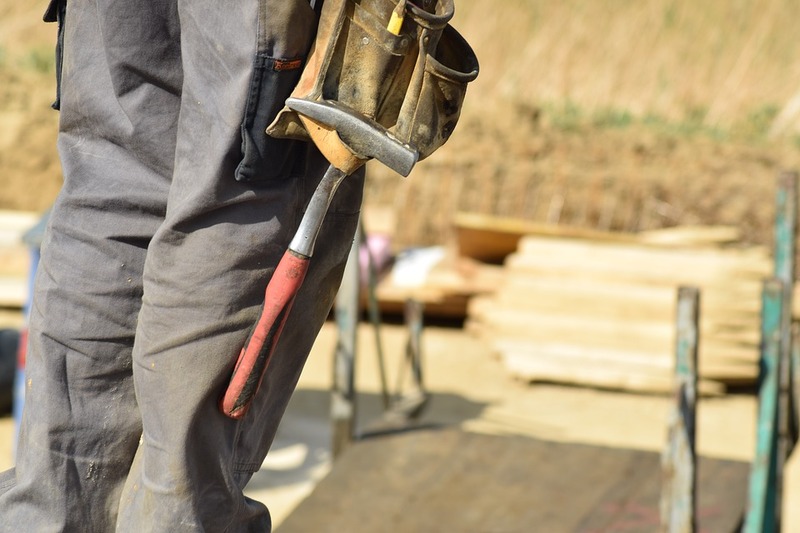 A great push has been made to protect tradespeople like carpenters, plumbers and electricians who are working on non-domestic properties. Which is an important step in the right direction. If these people know when they’re working around asbestos, they can take the appropriate precautions and ensure they’re not getting any asbestos on their clothes. These tradespeople, however, have far less protection when working on domestic properties; only their training in asbestos awareness. People not in these trades, and DIY enthusiasts, don’t even have that. Which makes it all too possible to end up working on asbestos and taking it home on your clothes, without even knowing about it! The answer, here, is to never work on anything unless you’re sure it’s not an asbestos containing material. Get it tested, if necessary, before you do any work on it. And if you’re doing a major project, or regularly doing DIY, it wouldn’t hurt to consider asbestos awareness training. Whatever you do, make sure that you’re not getting asbestos on your clothes and taking it home with you. Because that not only puts your health at risk, but the health of the people closest to you.